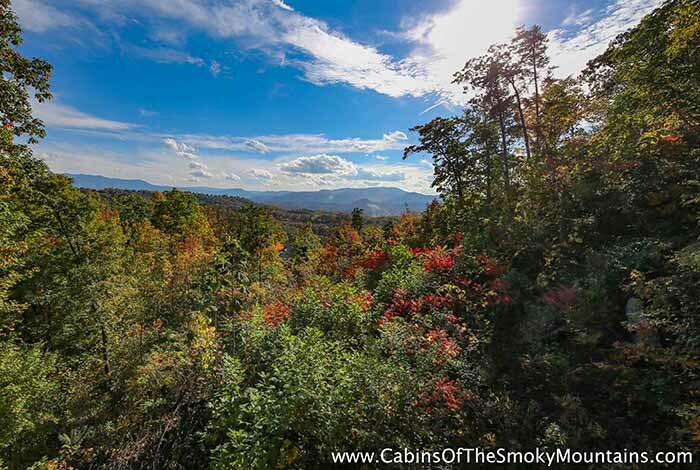 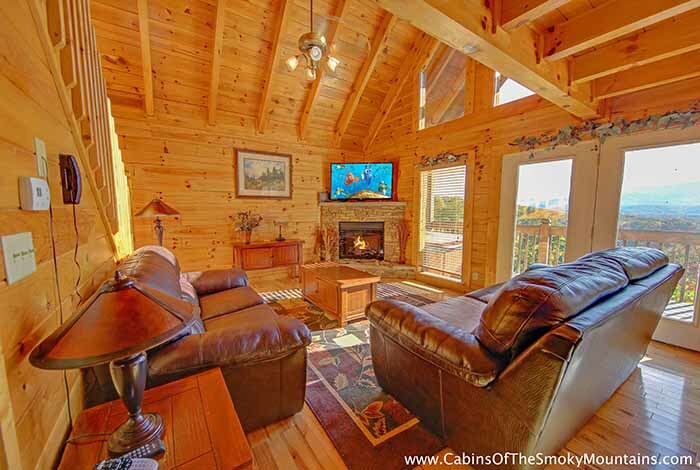 Are you looking for a cabin with a view that makes you feel like you're on top of the world? 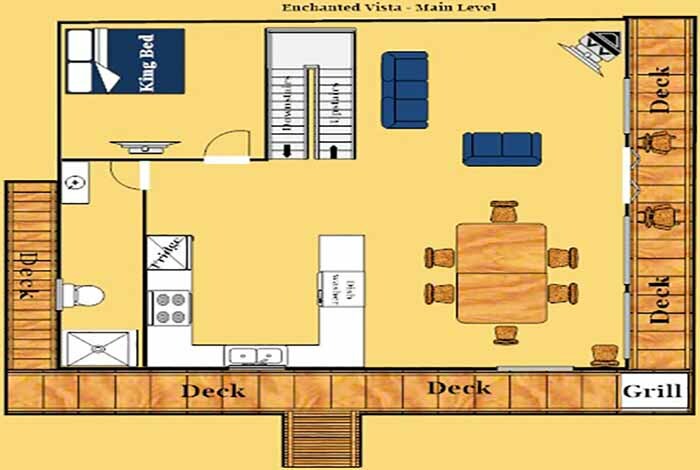 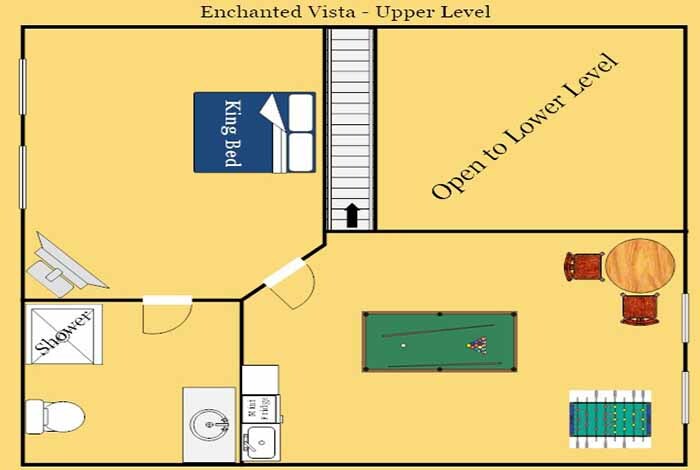 Look no further because Enchanted Vista is the cabin for you! 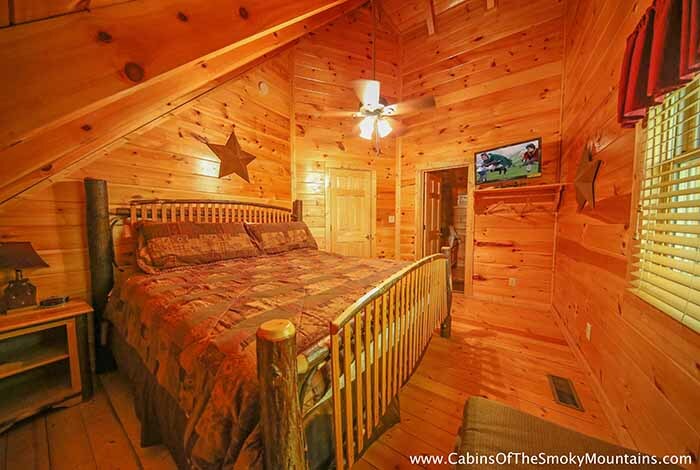 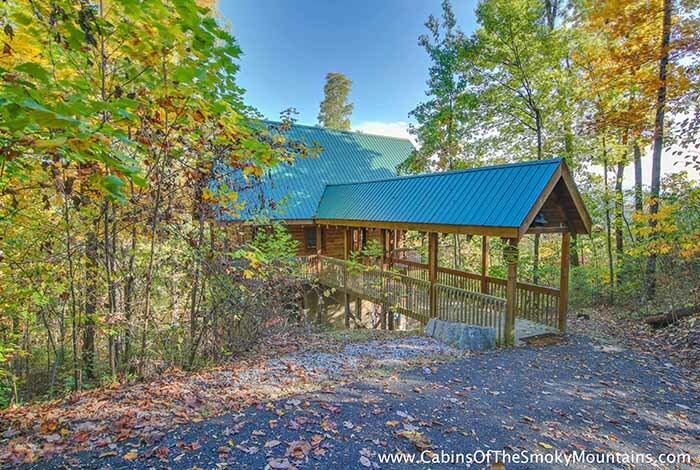 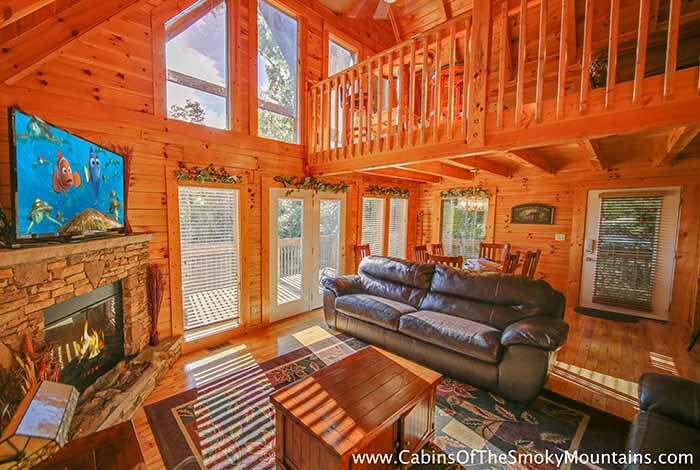 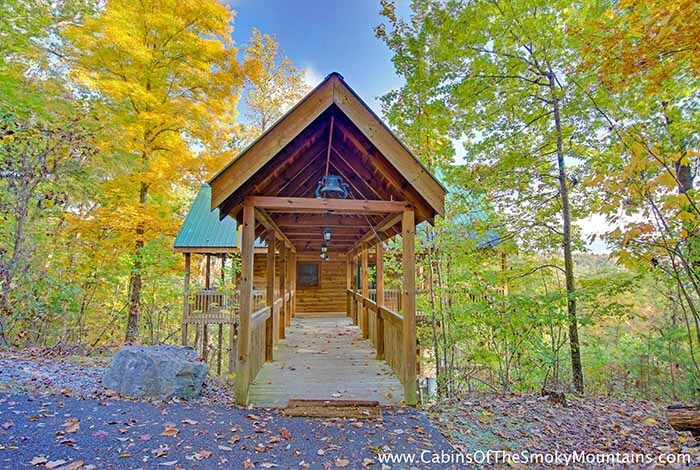 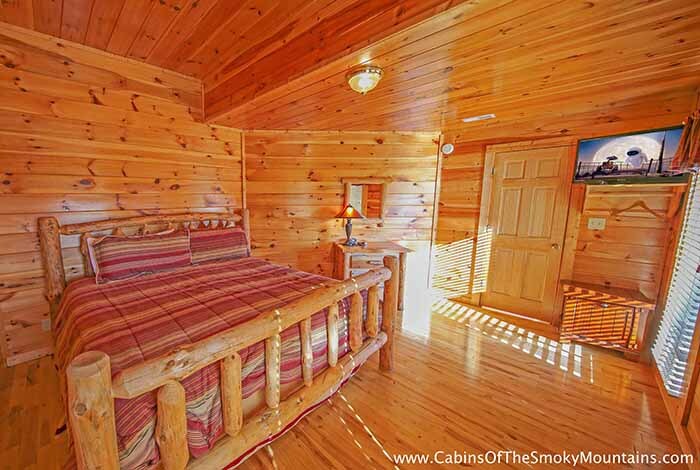 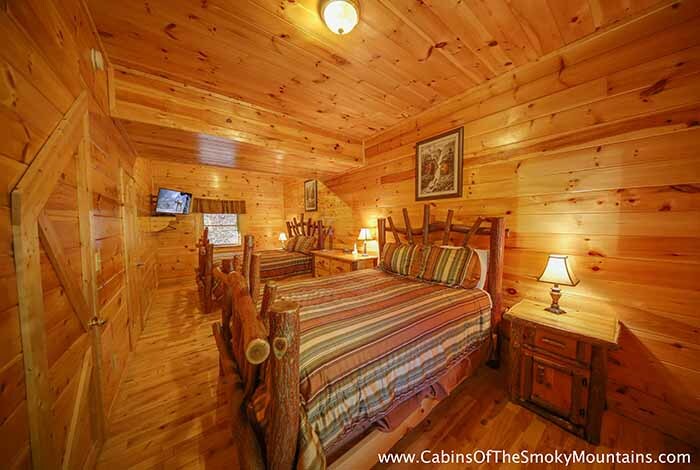 This beautiful 4 bedroom cabin will sleep up to 12 people and it also has 3 bathrooms. 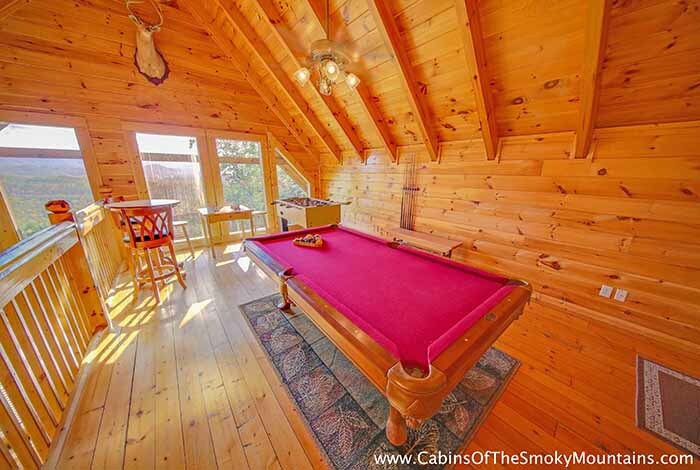 For the young and the young at heart, there is a pool table, a foosball table, and 5 flat screen TV's and also a loft with a game room to keep you and your family entertained. 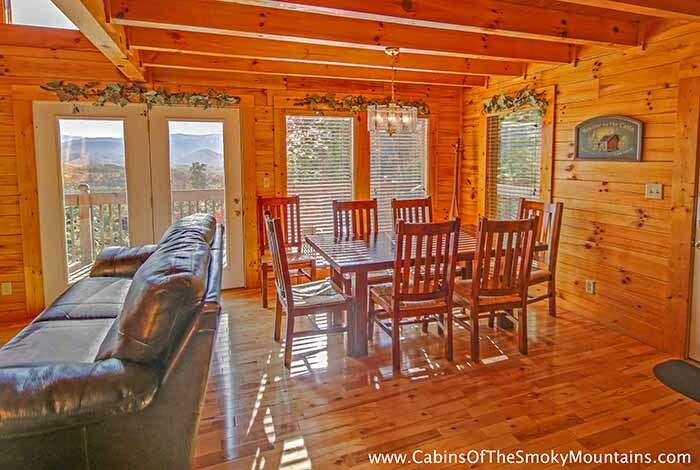 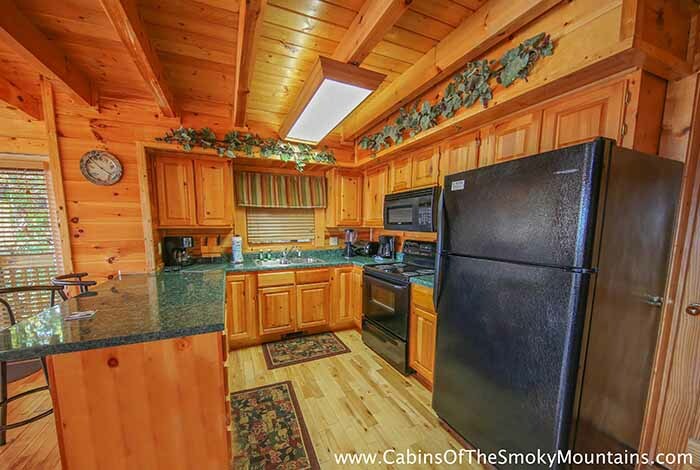 This cabin has a full kitchen and dining room seating up to 10 people. 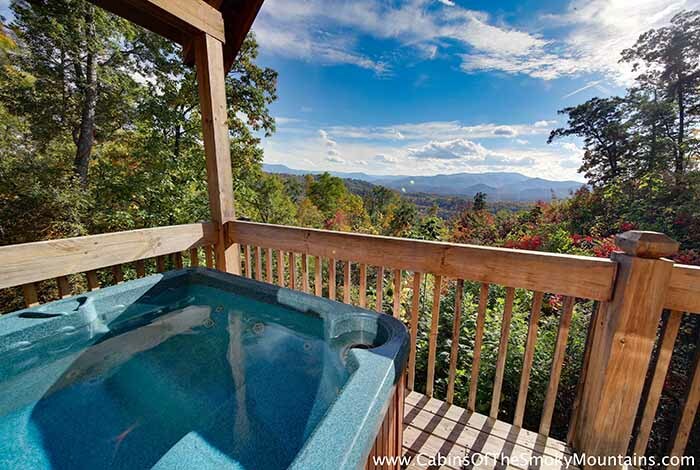 It also has a wet bar and a hot tub on the deck for you to enjoy the views while you relax. 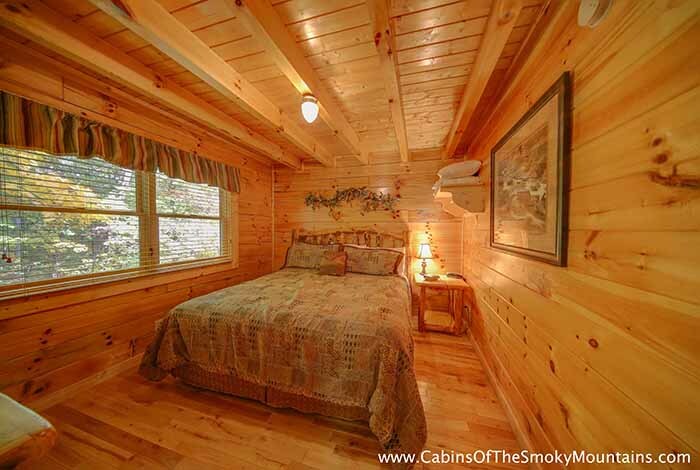 Most importantly, if needed, this cabin is handicap accessible. 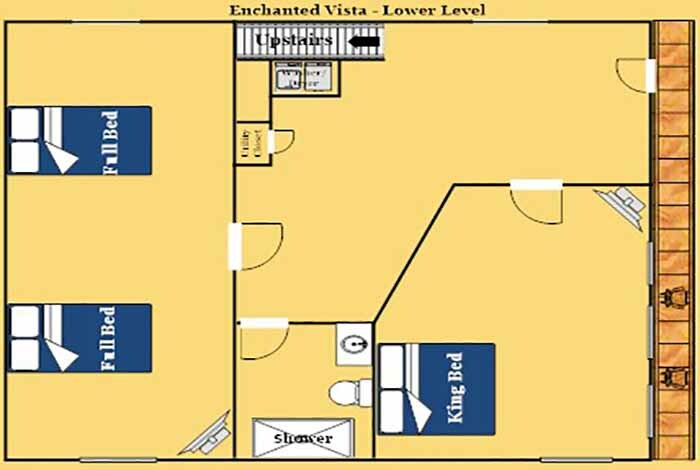 Make this your home for a few days and you will not regret choosing Enchanted Vista!